As an experienced London driving instructor who has helped many learner drivers pass the driving test over the last 10 years, I would like to give you some free tips to pass your next car test. It is important that you realise that the DSA car test is tough, and it is not easy to pass as evidenced by the low national pass rate of about 40%. It only takes one mistake for a candidate to be failed by the DVSA examiner if that driving error was deemed serious or dangerous, so these videos and the additional 10 tips have been put together to help you pass your next practical car assessment. The information might be simple and obvious for some of you, but all the same bear them in mind and concentrate fully during the 40 minutes the examiner is assessing you so that your dream of driving a car unsupervised can be realised on your next attempt, as my experience from almost 10 years of helping various people pass the driving test has shown that many capable and well prepared provisional licence holders fail not because they are bad drivers, but made simple avoidable errors either due to lack of knowledge or not taking my advice seriously enough! Visit my special website for those of you who are taking your driving test in the Mill Hill centre NW7 London. Before I begin, may I remind you that this website of mine is full of invaluable advice based on almost 10 years of ADI experience, so if you are really serious about passing, I strongly suggest you bookmark this blog, subscribe and go over the many other free online articles and videos posted here, you can never be overprepared, and who knows which tip it might be that saves you from making a serious error. Practical Tips To Help You Pass Next Attempt. 1. Arrive at the DSA driving test centre on time. Know your centre location (make sure you have the right details as many candidates have turned up at the wrong address), how to get there, and if possible visit a day earlier to know if there are any road works or local restrictions in place (important if you are not using an approved driving instructor ADI). Arriving for your appointment early will allow you to be more at ease. If you don't follow this tip and arrive more than 5 mins late for your driving test appointment, the DSA examiner will not take you out, you will lose your booking fee and not be able to get another appointment for at least another 10 days. 2. 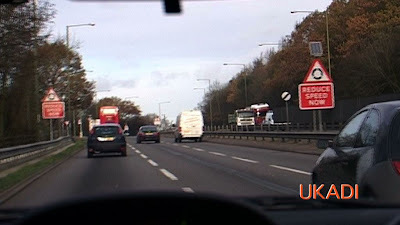 Master the UK highway code!. This is probably one of the most ignored advice tips that I constantly give to all my learner driver clients. It is one of the simplest, cheapest and easiest ways of making sure you are fully prepared (apart from practicing driving a car according to DSA standard) for the test. The small highway code booklet should be your closest companion once you have a driving test booked, take it everywhere you go, reading it in your free time, as it will help with understanding road signs and markings, lane disicpline, how to deal with different types of junctions, other road users like pedestrians, cyclists and motorcyclists and generally solidify your knowledge of how to drive in the UK. 3. Get a good night's rest before the day of your driving assessment a tip easily overlooked. 4. A test tip to help anxious candidates is that Rescue remedy or Kalms might help with your driving test nerves (seek professional advice before using medication if you are driving), and remember being a little nervous is okay as it gets your adrenalin flowing, which helps you to perform in high pressure situations. 5. Use the toilet before you depart to the driving test centre (not all have facilties for learner drivers, DSA Barnet is an example), as you don't want to be caught short just before meeting the dsa examiner. A driving test tip I regulary give to my learner drivers. 6. During the 40 minute drive, deal with the present, don't try and predict the dsa examiner route, what set exercises you are going to get, which direction you are going to be told to go. You will pass the driving test if you successfully and safely carry out each step at a time. 7. Another driving tip is to make progress if it is safe to do so, but obey all road signs and markings, slow doesn't always mean you are being safe, and you could fail the test for driving too slow! 8. Make sure you understand any instructions you are given, if in doubt, ask for the driving examiner to repeat it. 9. Don't panic if you make a mistake, correct it and move on, dwelling on a driving error could cause a snow ball of errors, and the first one might not have failed you! 10. 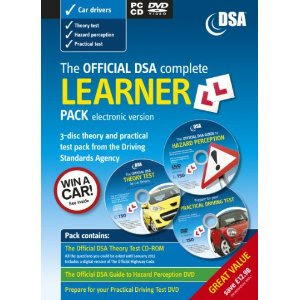 Make sure you are prepared before presenting yourself for the DSA driving test, you have a better chance of passing if you've taken professional training, know what the dsa examiner is looking for and had enough practice during your driving lessons. I've left this driving test tip till last, but it is the most important advice that you will get. If you are taking your driving test at Mill Hill test centre, you might be interested in the video below, especially if you are not local to the area, as it covers the hardest route in use by the DSA examiners where you have to deal with the dreaded Apex Corner multi-lane roundabout during independent driving as well as the 70mph A1, turning right at sterling corner as well as some other tricky locations. The video has full commentary to point out the failing areas. Follow UKADI on twitter for more tips and help to pass the sriving test. Driving Test Major and Minor Faults. Provisional licence cant drive a car! Want some cheap driving lessons. Test Coming Up? Find the Biting Point. Don't talk to examiner on the driving test! How many driving lessons do I need before I book the driving test? Taking the driving test in a private car. DSA use of car horn on the test. Top ten dsa driving test errors. 5 facts about the test you might not know. The Red Driving School training scam or con.